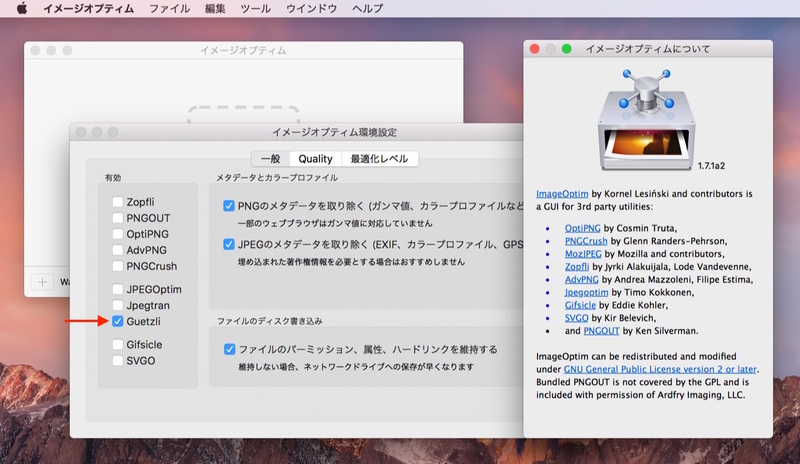 Mac用画像圧縮アプリ「ImageOptim v1.7 beta」がGoogleの新しいJPEGエンコーダー「Guetzli」を実験的にサポート。 | AAPL Ch. It’s off by default (enable in Preferences), because it’s very slow: 1 minute + 300MB RAM per megapixel. It is normal for a large photo to take 30 minutes and gigabytes of memory. It’s ineffective on JPEGs with quality 85 or lower. It’s best to create JPEGs with 100% quality for running Guetzli on them. Guetzli does not support color profiles, so only use sRGB. 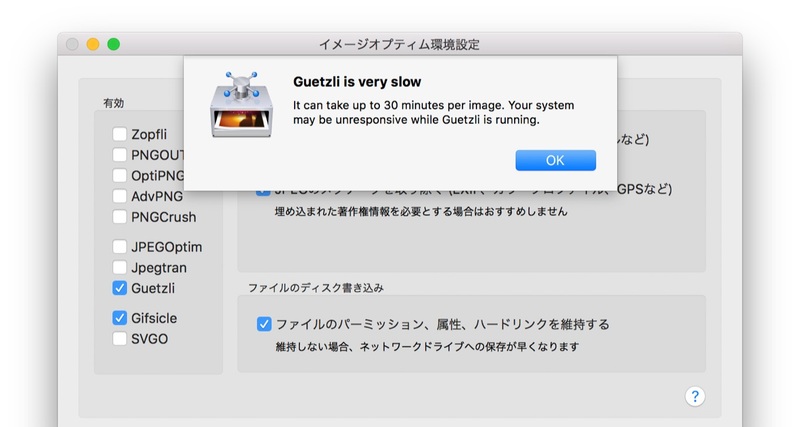 Running Guetzli on the same image twice is not recommended, as it will decrease quality more than it reduces the file size. If you need smaller files, disable Guetzli, and enable Lossy mode instead.